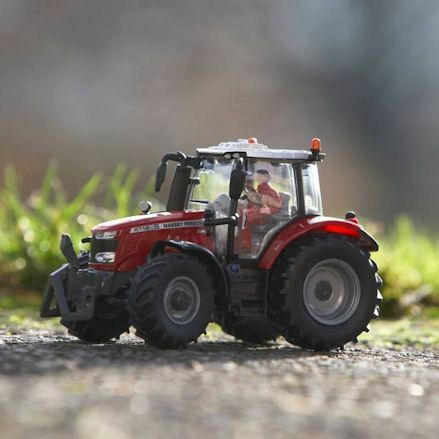 Farm vehicles are required for carrying out daily duties on the farm with Britains tractors being the most popular choice in scale 1:32 and 1:16 from Big Farm and Bruder respectively. Each model is based on known manufacturers like Case IH, Massy Ferguson, John Deere and New Holland in a choice of colours. 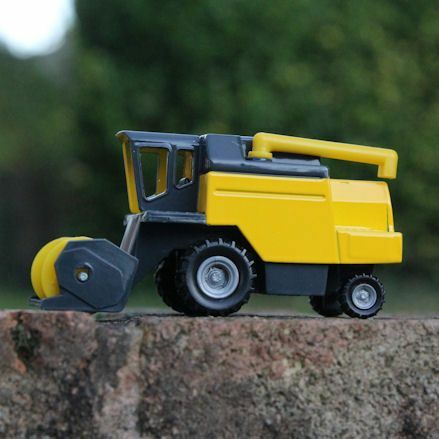 But that's not all, we feature kids combine harvesters from Britains with Siku combines and foragers available too. 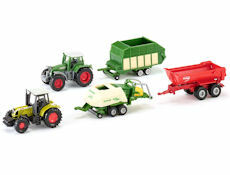 Find quality plastic and die-cast tractors, ATV's and quads. lorries and Land Rovers to fill up your farm with an exciting range of agriculture vehicles. Children's Britains and Bruder tractors provide vehicles for carrying out tasks around the farm. You can buy toy tractors with front loaders, rear hitch, detachable bonnet and authentic replica detail. 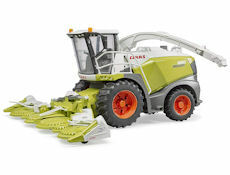 Get ready for crop season wth a replica toy forager or combine harvesters featuring front rotating header. Combines are equipped with lots of detail and functioning parts to really bring the scene to life. Function similar to combines, only forage harvesters cut cross instead of crops. This is then turned into silage and feed. The cuttings pass through a spout and poured into a trailer or directly onto the ground..
Land Rovers are an ideal off-road vehicle for the budding farmer to drive around the farm for daily tasks. This includes Britains Land Rovers that include opening doors, tailgate and real working wheels. You can use a telehandler for all the heavy lifting and stacking using an extending arm for moving pallets or forks for bales. 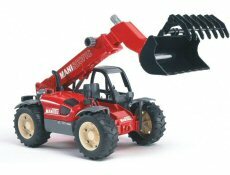 A vital farm vehicle, toy telehandlers can do everything a tractor can do and more. This range include anything from ATVs, quad bikes to TRXs. Small off-road vehicles allow the young farmer to move around the farm land for picking up supplies or locating farm animals for inspection. Did you know you can build up a farm set in go, with a farm vehicle play set including all the tractors, combines and trailers you could possibly need. They are usually small vehicles but plenty of functionality. You'll need road vehicles that don't usually work on the farm but instead needed on the open road. This includes lorries and trucks for transporting heavy loads and dropping them off at the farm for your needs.